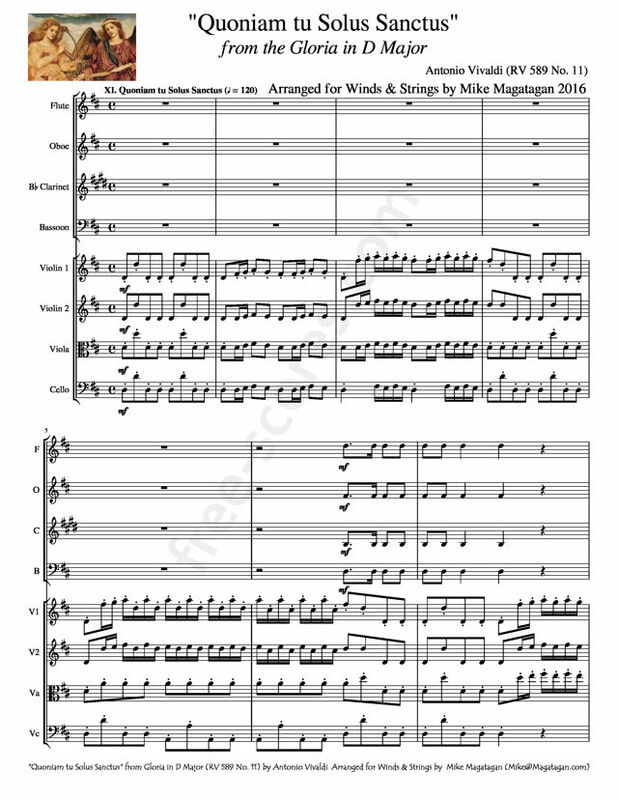 Although originally written for Baroque Orchestra, I created this Arrangement of the RV 589 (No. 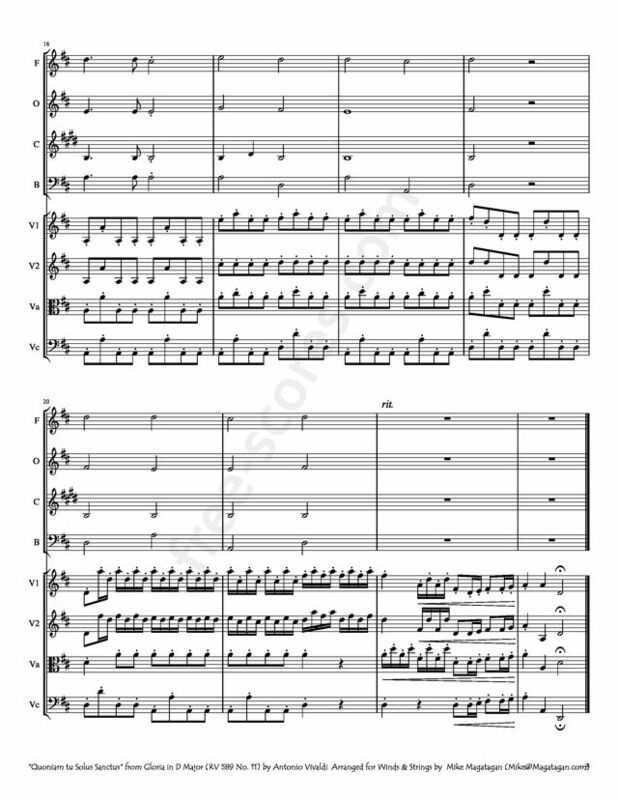 11) "Quoniam tu Solus Sanctus" (For You alone are holy) for Winds (Flute, Oboe, Bb Clarinet & Bassoon) & Strings (2 Violins, Viola & Cello). 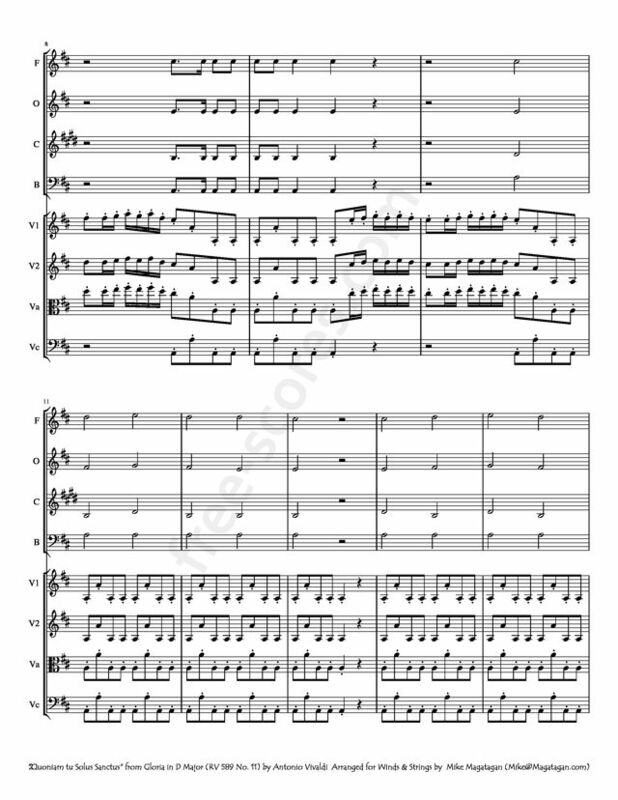 A wide choice of music conductor stands on free-scores.com !